Police canines are subjected to rigorous training for subject apprehension. One method commonly used by these dogs in subject apprehension is known as the “bite and hold.” That is, the dogs are taught to bite a suspect, and then to hold the suspect until commanded to release by the K-9 handler. In theory, this sounds a reasonable alternative to other use of force techniques, but in practice what usually happens is that multiple bites are inflicted by the dog to the suspect (and often non-suspects) causing severe injury. Frequently, suspects apprehended with the bite-and-hold technique must be hospitalized. 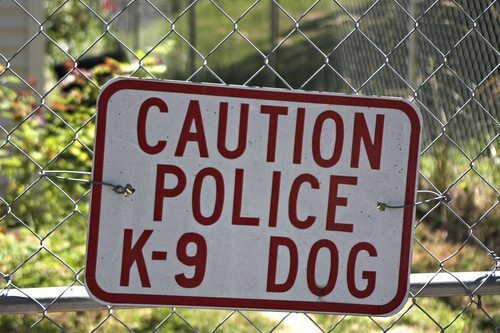 Police departments routinely investigate every instance in which a police canine inflicted a dog bite injury to a suspect during apprehension. However, the focus of the investigation usually is about whether the K-9 handler acted reasonably in deploying his canine given the circumstances present at the time of apprehension, and not about the nature of dog bite injury inflicted onto the suspect. This nature of police K-9 dog bite injury was addressed in a 2006 study by Peter C. Meade titled “Police and Domestic Dog Bite Injuries: What are the Differences? What are the Implications About Police Dog Use?” This paper statistically analyzes medical information related to dog bite injuries to better understand how police dog bite injuries compare to domestic dog bite injuries. 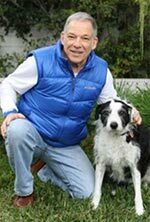 The study compared injuries sustained by police dog bite victims between 1,988 and 1990 from the Los Angeles Police Department K-9 Unit with injuries sustained by domestic dog bite victims recorded by an inner-city public hospital, King-Drew Medical Center, between 1989 and 1996. The analysis focused on specific injury data, as well as their demographic. Five hundred ninety-five out of 957 medical records of police dog bite injuries were included in the analysis, and compared with data from 1109 domestic dog bite victims treated at King-Drew Medical Center in Los Angeles. Meade concluded that the severity of police dog bites was greater than domestic dog bites. Police dog bite victims tended to be bitten multiple times and were more often bitten in key body areas such as the head, neck, chest, and flank. In addition, police dog bites more often resulted in hospitalization, operations, and invasive diagnostic tests. Meade argues that the types of dogs selected to be police dogs, as well as their special training, are what caused the differences in injuries. Source: “Police and Domestic Dog Bite Injuries: What are the Differences? What are the Implications About Police Dog Use?” Peter C. Meade, Injury 2006, Vol. 37, Pages 395-401.